Apoptosis, my boyfriend is a kinds of tech geek and keeps all kinds of hardware stuff in his closet. I will appreciate any ideas how to get right of all pc components, cases, etc. I was on holiday last month in Varna, Bulgaria for a week. I was really curious about the speed of the Internet connection there. I was amazed. Really incredible speed. Hey, guys! Is there anyone, who has played FIFA 2015? What does it like? Is it better than FIFA 14? 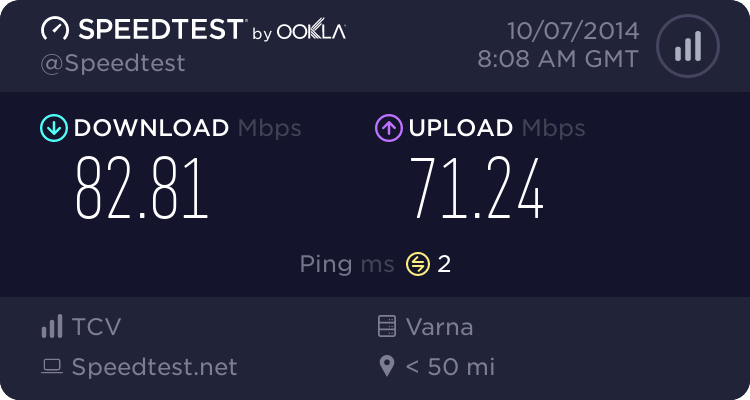 excuse me for the off topic, but could you tell me which is the most accurate speed test online? It migth sound silly, but parental control software might work for you. There are lots of software programs out there, which enable you to restrict access to particular webpages, Windows functionality, etc.